I am looking for suggestions on what some of the options for carrying skis conveniently are, especially uphill and through thickly wooded areas. This article covers the 2 commonly used methods for vertically carrying skis, and their relative advantages and disadvantages. One additional method of carry which I'm a fan of but is not strictly a "pack carry" is on your shoulder. 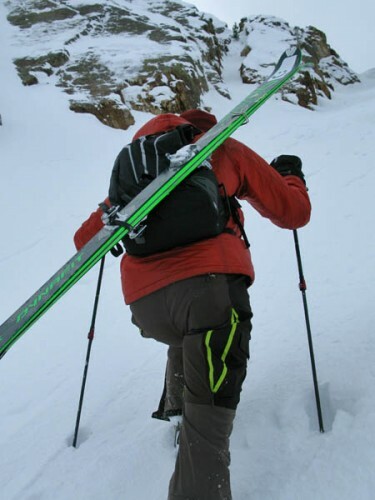 This method has some clear disadvantages but it maximizes your ability to balance the skis weight over your feet, it allows alternate positions without taking a pack off and it allows you to proactively move the heaviest weight rather than reactively adjust to the shifting weight on your pack. I don't actually ski or crosscountry but I spend lot of time mountaineering with friends that do. Packs with ski straps are for sure the way to go. Once I got asked to help someone with strap skis to her pack as she didn't have a pack with straps. I used a pair of those. I used them to strap my crossbow to my pack when hunting and a few other things. They come in various widths and lengths. Not the answer you're looking for? 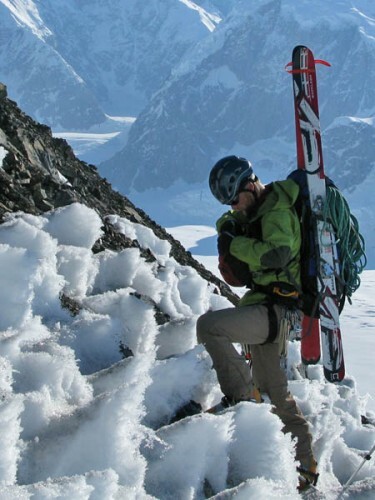 Browse other questions tagged backcountry skiing backpacks or ask your own question. How can I get rid of mold on climbing skins for skis? Do I need skins to drag a pulk on skis? Beginner or intermediate skis for a first pair to buy? 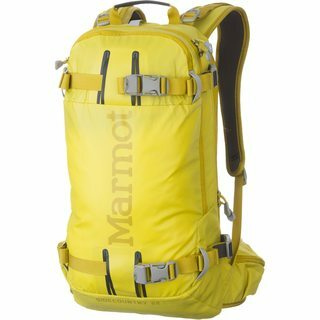 How do you lower a backpack over a cliff without damaging it?